Local entrepreneur Steve Dunn is filling a gap in the Rochester food scene with his business Taco JED. Dunn aims for his restaurant to be welcoming to everyone in the community and to bring people together through a love of tacos. Dunn, a native of Grand Forks, North Dakota, began his career in insurance and commercial real estate before setting his sights on food. “I got into the whole taco business is because of the recession,” Dunn explained. The economic downturn hit the commercial real estate market hard, causing financial strain for Dunn’s employer. At that point, Dunn decided to leave real estate behind, launching a taco restaurant in 2010, called Rusty Taco, in Dallas, Texas alongside Rusty Fenton. 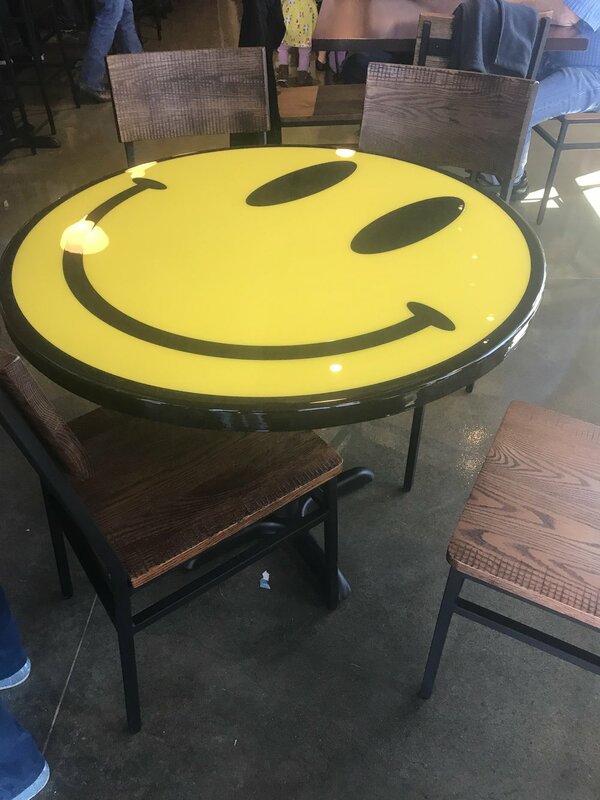 After Rusty passed away, the restaurant was acquired by Buffalo Wild Wings in 2014 and is now owned by Inspire Brands. Rusty Taco franchises have opened in thirty-one different locations in eight states. Dunn moved from Dallas to Minneapolis to help grow the brand working with Buffalo Wild Wings. He spent several years growing the Franchise business as CEO of Rusty Taco, before deciding it was time to move on yet again and open up a restaurant of his very own. Dunn knew he wanted to launch his newest business somewhere in Minnesota to stay close to family. His siblings currently live around the Twin Cities and parents live in Bemidji. His son attends Concordia Saint Paul and his daughters study in Nebraska. After researching several markets, Dunn chose Rochester. 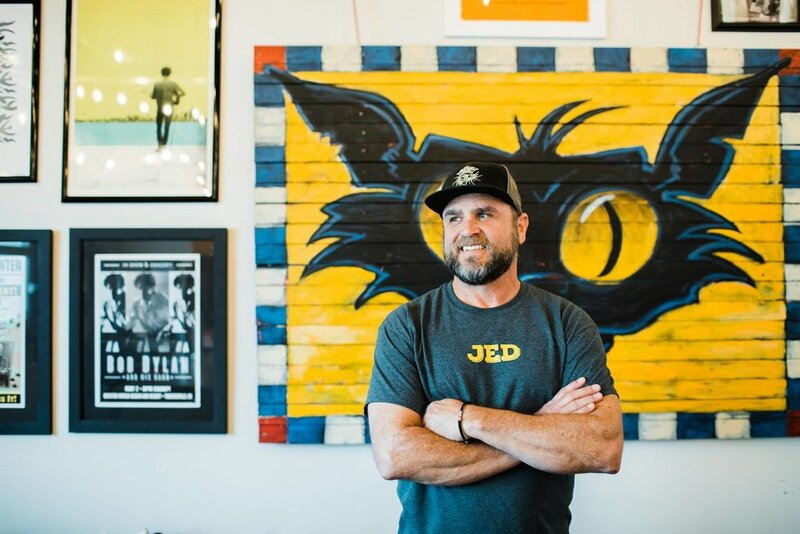 Dunn found a location for his business along South Broadway and opened his newest endeavor, Taco JED, on October 4th of last year. “We want [the restaurant] to be open and inviting to everyone. Our motto is ‘Tacos Unite People,’” he said. Dunn hopes to keep Taco JED as local as possible with Rochester beers on tap, local art on the walls, and live music on Friday and Saturday nights. While the layout of the restaurant is similar to what Dunn was accustomed to with Rusty Taco, he called on Dallas designer Brent McMahon to help bring his new vision to life. Beyond a common blueprint, Dunn was able to apply many lessons learned from Rusty Taco to the current business, but said staffing was originally a challenge. Dunn says he’s happy with the progress Taco JED has made over the last few months and feels the food itself has been well received in the community. Taco JED will soon be open on Sundays, along with more live music. JED’s Shed, the bar portion of the restaurant, is currently building a patio for outdoor seating, which will be serving margaritas soon. Today on our latest #Emerge video we sit down with Rochester native and fierce female entrepreneur Laura Elwood, owner of Chamberlain Concierge & Lifestyle Management. This business just reached its three-year anniversary, providing limo service coupled with a concierge menu to bridge the gap between a client’s need for visiting Rochester to the local hospitality industry. Check out the full interview with Laura in podcast Episode 125. Congrats to local Potbelly owners for opening up their second location in Rochester! Six years after opening the original Potbelly on 1st Avenue, franchisee owners have opened the doors to a second restaurant at 3801 Market Place Drive NW. The new location will be managed by Laura Hessling, with the original downtown Potbelly under the management of Jessica Conrad. Oversight at both restaurants will continue to be run by Kirk Gordon. 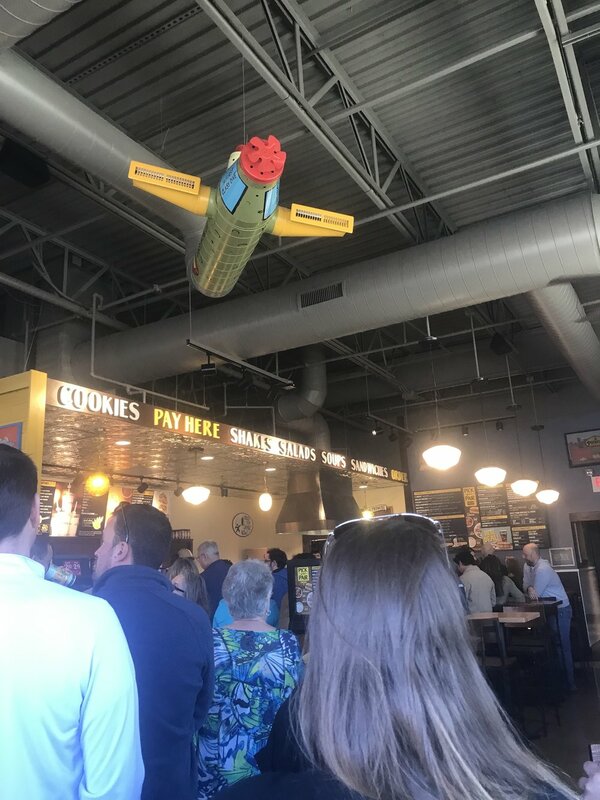 Both Rochester Potbelly locations are owned by Kirk and Kim Gordon, Bill and Erin Nystrom, and John and Sandy Rogness. Local entrepreneur, mom, and volunteer Dr. Stacy Lequire is helping her patients achieve control over their total health one step at a time. After returning to southeastern Minnesota from the Boston area in 2008, Stacy and her husband Ed co-founded their second business, Vitality Chiropractic, in Rochester and have been caring for patients, locally, ever since. “I’ve always been a questioner and a seeker of answers,” said Lequire. After obtaining her chemistry degree from University of Wisconsin- La Crosse, she knew her career was headed in a different direction, enrolling in Northwestern Health Sciences University to obtain her Doctor of Chiropractic. Since that time, she’s seen the difference chiropractic care can make and how one change can cause an “upward spiral” towards better health. “For me, health is about habits. So, I try and look at those little things we do. I don’t think there’s one big thing that changes everything. It’s a lot of little habits,” she explained. Lequire’s observed a definite need in the community for the services Vitality Chiropractic offers, where she and Ed develop long term relationships with their patients and help them make lifestyle changes. “We try to come in in the early innings to say, ‘Hey, this is about you making choices. This is about you being empowered to do things for your own health,’” she explained. Launching a business like Vitality Chiropractic in a highly medical community is always a challenge, Lequire said. As a wife, mom, entrepreneur, and volunteer, time is another challenge to building her business and forging more connections in the community. While the Lequires are growing their own business, they’re also incubating other small health and wellness companies at their northwest Rochester location. Vitality Chiropractic houses several partners in their building- including Kim Kraft Therapeutic Massage and Fitness 4 Ever- to help keep costs low for these entrepreneurs and to help them flourish. “We feel like we are creating something unique in the community with the partners that we have here. I love being able to get into people’s lives in that way when it comes to health,” Lequire explained. 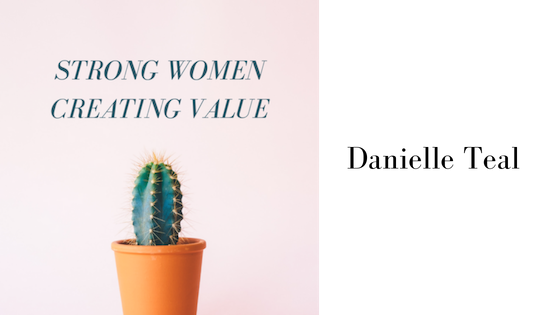 This week we wrap up our Strong Women Creating Value series for 2019 sharing the story of Stacy Lequire, Co-Owner of Vitality Chiropractic. 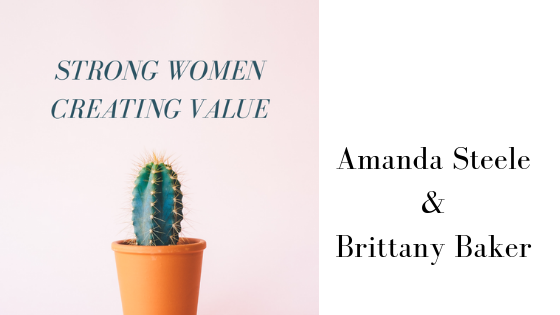 In the third part of our "Strong Women Creating Value" series we chat with Rochester entrepreneurs Amanda Steele and Brittany Baker, owners of MedCity Doulas. MedCity Doulas is a Rochester-based doula agency providing emotional, physical, and educational support through pregnancy, brith, and postpartum. To launch this series for 2019, today we chat with the amazing Christine Beech, Director of the Kabara Institute for Entrepreneurial Studies at Saint Mary’s University of Minnesota. In her role at the Kabara Institute, Christine fosters a spirit of entrepreneurship among her students and connects them to the surrounding entrepreneurial communities in both Winona and Rochester. Christine recently developed and launched a series of women-focused events, called WE (Women Entrepreneurs) forums, in partnership with Rochester Area Economic Development Inc. and others in the community. She held her first packed house event in January during a snowstorm. Her second event, a business development workshop, will be held in late March. “What I think we are creating now is a platform for women-focused and women entrepreneurial community development with conversations around the issues that are facing them,” she explained. 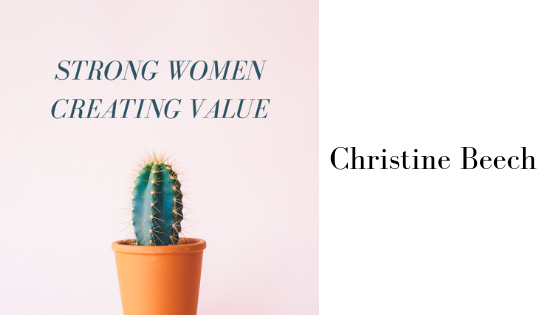 Christine hopes to hold forums, which utilize a panel format, quarterly, and workshop events, where women focus on and work ona specific business skill sets, in between the forums. “One of my hopes is that one of the things that we’ll do with this forum is to create a place where women can come together and collaborate and work together,” she said. Christine sees many talented women in the community who can speak at these forums and lead the workshops. “We would like to create a venue where we are tapping into that talent for the benefit of the growing ecosystem,” she explained. She sees new businesses as the “lifeblood of the economy.” However, many entrepreneurs starting new ventures lack focused business training and don’t know where to go for support. This event takes place on Sunday March 31st from 10:30-12PM. Click the image for more information and to snag your ticket! This initiative is partly driven by her own experience. Christine spent fourteen years in business development before joining Kabara and recognized a lack of support for these efforts in her community. After joining academia, she saw a chance to give back to people who were in the early stages of building a business or had reached a plateau in business growth. Christine additionally sees an immense need for evidence-based information on business development- putting numbers behind what works and what doesn’t work- instead of the typical personal anecdotes supplied by most mentors. She hopes to gather this type of informative data through the WE Forum events. While Christine knew these women-focused events were needed, there were several challenges she faced to get women to actually attend them. The first was brand recognition. Most people in Rochester associate the name “Saint Mary’s” with a hospital, not an academic institution. Many people are also unaware that Saint Mary’s even has a presence in Rochester, which is located in the northwest region of the city at the beautiful Cascade Meadow Wetlands. Her second challenge was connecting these events to the women most in need. To do this, Christine utilized her network, partnering with over twelve different institutions to help spread the word to diverse groups and get buy in from the community. As a whole, Christine thinks it’s a good time to be part of the female entrepreneurial community in Rochester. “We have incredible, brilliant physicians. We have women leading regional initiatives. We have women in a lot of very key points. So that, I think, is going to make a more attractive environment for female business startups,” she explained. To accomplish this, Christine thinks women need to have their own network that’s collaborative, not competitive. “And they need to plug in and start leveraging each other. I feel like that’s just building. It’s not quite there yet,” she said. In celebration of Women's History Month we chat with Christine Beech, an example of just one strong woman creating value in the Rochester community. Christine is currently the Director of the Kabara Institute for Entrepreneurial Studies at Saint Mary's University of Minnesota. Christine is also a mom, veteran, entrepreneur, business owner, consultant and a strong female leader in this city. To celebrate this month and to showcase local visionary women making lasting contributions to our community, we’re continuing our “Strong Women Creating Value” series that we began on Rochester Rising last year. This year we’re asking for nominations for this series. 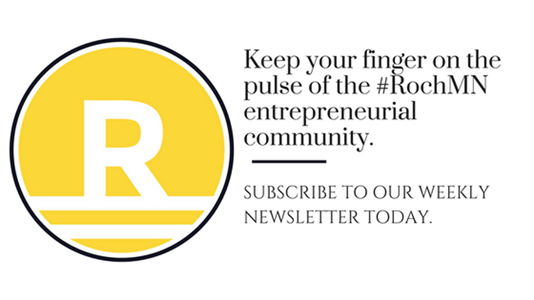 What visionary Rochester women do you know who have identified a real need in the community and launched a business or non-profit, created an initiative, or brought about needed change in this city to address that need? Please use this form to send your nominations by Friday February 22nd. Who are you nominating for the "Strong Women Creating Value" series? Website for your nomination (if available). 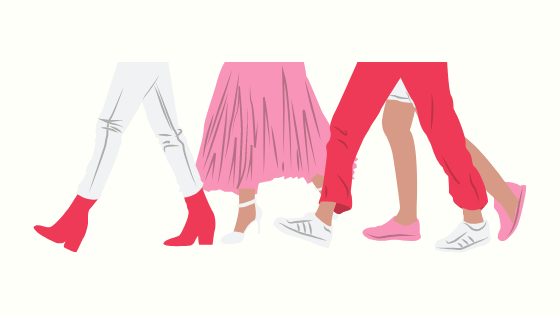 Here’s to all the strong women creating value in our community. 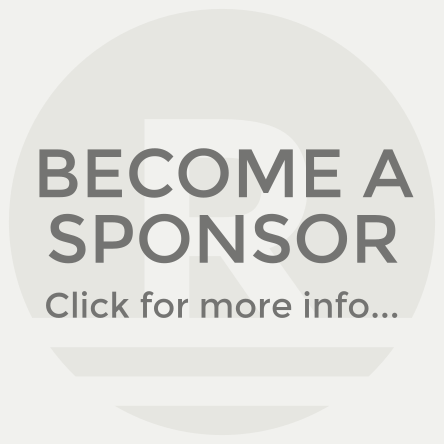 Is your business interested in sponsoring this series? Send us an email for pricing inquiries. ­After three attempts to hold our listening session on mental health needs in the Rochester entrepreneurial community, we have decided not to reschedule this event. ­However, we­ would still greatly appreciate your help and input on this important subject. If the mental health needs of our entrepreneurial ecosystem and creating solutions to support these needs is of value to you, please take a few moments today to fill out this brief survey. If this is something of importance to you, please take five minutes to complete the survey so we can create things of user-driven value in the community. While we collect these responses and have additional conversations in the community, we’ve created an online communication group to facilitate some of these needs. This group is not meant to be a place to offer medical advice or to provide professional mental health guidance. It is meant to be a platform for community-based communication to connect and share best practices, information, and resources related to mental health. To request permission to join this closed group, search for “RochMN Entrepreneurial Communication Group: Mental Health” on Facebook.